The infoday included a variety of guests from all over Poland such as city representatives, managing authorities and others interested in sustainable urban development policies. Participants had the opportunity to learn about URBACT, the programme, URBACT II results, and meet and interact with other participants. On 5 February, the infoday was reserved for partners of ongoing networks. Partners were able to exchange and share their experiences and discuss their Local Action Plans as well as ways of improvement. On 6 February, the Infoday started with an introduction by the Ministry of the Interior and Kingdom Relations. It was then followed by a presentation of URBACT in a Nutshell and representatives from URBACT Networks in Poland discussed their exchanges and experiences. URBACT II results were shared with the participants, followed by the Dutch National Urban Agenda. 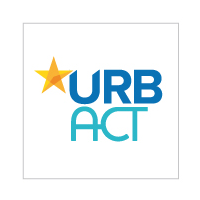 URBACT III was introduced, which gave an overview on how cities can participate in the call. Take a look at the programme in Polish and English for more info on what happened. Check out the URBACT III Flyer in Polish!